Brahms completists had a rare opportunity last month to hear every piece that composer wrote for solo piano in a series of four concerts over two weeks by the protean German pianist Gerhard Oppitz. By mixing longer, shorter, earlier and later works, each program showcased not only the soloist’s staggering virtuosity but the remarkable variety of Brahms’s piano music. 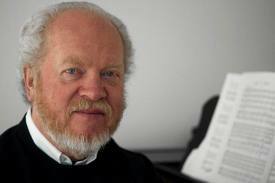 At the age of 59, Oppitz also bears an uncanny physical resemblance to familiar images of the composer around that age. His approach to Brahms combined the deep, resonant tone of Claudio Arrau with the lighter keyboard touch of Julius Katchen, the first pianist to record all of Brahms’s solo piano works, as Oppitz has also done. His tempos were steady but flexible, always striking a perfect balance between youthful abandon and mature restraint, according to the particular piece he was playing. His use of rubato was sparing and carefully judged, honoring Brahms the classicist as well as Brahms the romantic. The most impressive moments of these concerts may have been the rapt attention Oppitz commanded from the audience during quieter pieces, like the meditative intermezzi among the four sets of piano miniatures that Brahms wrote in his final years. It’s hard to imagine that any other pianist could have expressed the melting lyricism of Op. 118, No. 2 or the eerie desolation of the “Dies Irae” theme in Op. 118, No. 6 more compellingly. Oppitz’s monumental achievement was further enhanced not only by the marvelous acoustics of Ozawa Hall, which allowed every note to be clearly heard, but also by the extensive and detailed program notes about each musical selection by Brahms biographer Jan Swafford.